Falconry is a sporting event unlike any other field sport in the world. 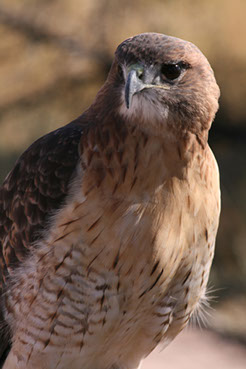 It is an ancient sport in which you use a raptor, such as a hawk or falcon to hunt within the raptor’s instincts. The process of becoming a falconer is a minimum of 2-year commitment where you learn about the health, care, and regulations that guide this sport of falconry. All falconers begin at the apprentice level. At this level, your focus is to study the regulations, husbandry, and training process needed to hunt with a raptor. You will be guided by your sponsor during this time where they will help you understand the proper techniques that you will need to care for a raptor in captivity. Oakes, William: THE FALCONER'S APPRENTICE, A guide to training the Red-tailed Hawk. McGranaghan, Liam: THE RED-TAILED HAWK, A complete guide to training and hunting North America's most versatile game hawk. As an apprentice, you will work with either a passage Red-Tailed Hawk or an American Kestrel during your apprenticeship period. Spend your time reading about these birds and their life histories. Most sponsors will recommend that an apprentice falconer begin with the Red-Tailed Hawk. Get involved with the Colorado Hawking Club. Meet the membership and ask questions about falconry. Study then schedule your falconry test with the CPW. You must pass a Colorado falconry exam with a score of 80% or better. There will be a total of 100 questions which are a mix of true/false, multiple choice, and short answers drawn from three categories: falconry practices, the biology/ecology of raptors, and regulations/laws. Most sponsors will look favorably on someone that has put the time into learning about falconry then completing this test. Once you’ve passed your test you will now need to find a sponsor and begin building your facility that you will use to protect and house your bird called the mews. When your facility has been inspected, you will be sent your Apprentice Resident Falconry License at which time you will work with your sponsor to obtain your first raptor. Please remember we are training a wild raptor to use its instincts to hunt with us. It requires a serious commitment on your part maintain your bird's health and well-being. You will find a number of vendors that will help you with purchasing the books and supplies listed on our Vendors Page.